Speaking: verb To say words. Welcome to the Speaking area of our Online English article library. Speaking is the biggest part of learning English. You will spend most of your English interaction time speaking and listening. 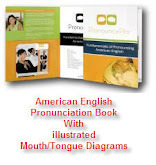 The lessons and articles in this category are not intended to help the Pronunciation of your speaking, but rather the skills needed to speak English correctly. Don't forget if you have questions about Speaking you can access the Online English Hub's Learning Tree and submit your questions for free. For further free Speaking lessons, instruction, videos, resources, visit the Speaking section of the Online English hub. Learn English Speaking with our Speaking Online Quiz and Answer library located on this blog. You can browse all our Speaking Articles and Lessons below or click a category to go there directly from the links. Enjoy the resources, you'll be speaking better English soon.